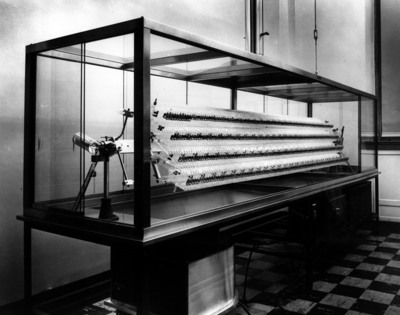 The cleverly designed glass units permitted the transfer of the upper phase from one unit to the next by decantation. Of the several hundred machines built, the most popular sizes contained two hundred to five hundred units. Finally, in 1956, a one thousand tube automatic countercurrent distribution train powered by electric robots was constructed by Craig and Post.